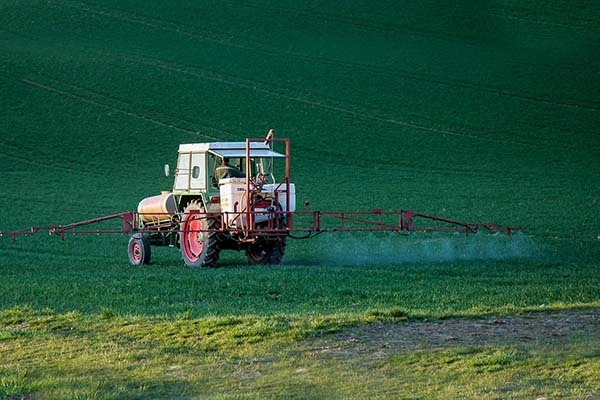 In buying Monsanto, Bayer was aware that the Brussels EU had ruled glyphosate as supposedly safe and that it could therefore be used to spray on farms throughout Europe – thus contaminating food consumed by the continent’s 500 million citizens. Many non-European countries had similarly legislated in favor of the chemical. A major setback for Monsanto had come from the World Health Organization’s International Agency for Research on Cancer, which in 2015 declared that glyphosate was “probably carcinogenic”. Then, in 2017 the US state of California declared that glyphosate can cause cancer. For Californians exposed to this toxic chemical, this was a landmark decision. Thousands of victims have since taken legal action. In a groundbreaking court verdict in August 2018, Bayer, by then owning Monsanto, was ordered to pay $289 million to a former Californian school groundsman who had been exposed to glyphosate. The court found that Roundup or, to be more precise, its active ingredient glyphosate, had caused the man’s cancer. In a second trial in March 2019, a jury in San Francisco ordered Bayer to pay $80 million to a man who had developed Non-Hodgkin Lymphoma, a form of cancer, as a result of exposure to Roundup. After the verdict, Bayer’s share price fell and the company was worth less than what it had paid for Monsanto. 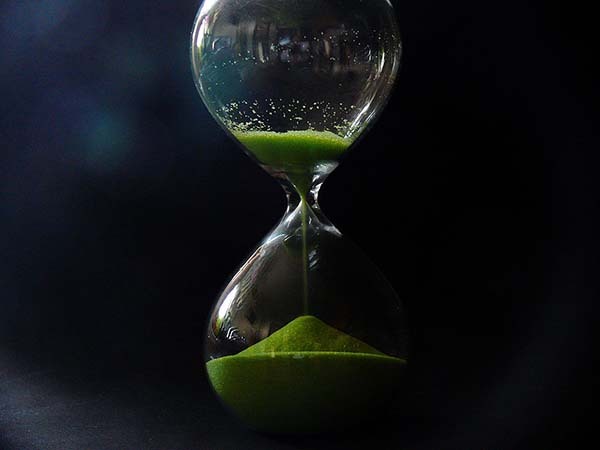 Today, with more than 11,000 additional legal complaints lined up against Bayer, investor confidence in the company appears to be vanishing quickly. Let’s do the math on this from the standpoint of an investor. Thus far the court verdicts in just 2 out of 11,000 lawsuits have been cast, and the Bayer share price has almost been cut in half. One doesn’t have to be a mathematician to see that damage payments to the victims of glyphosate could destroy Bayer. But there is also an even greater concern for the company’s shareholders. Can they trust the judgement of Bayer’s executives, who approved the literally ‘toxic’ acquisition of Monsanto at an eye-watering price of 63 billion US dollars (56 billion euros)? What are Bayer’s options in this precarious situation? To answer this question, we have to take a look back at its history. The events in New York on September 11, 2001 changed everything for Bayer. This is not the first time that Bayer has faced such an existential threat. In 2001 it was in a similar position, albeit due to a problem entirely of its own making. Statin drugs, advertised to lower high cholesterol, were top-selling medications back then. 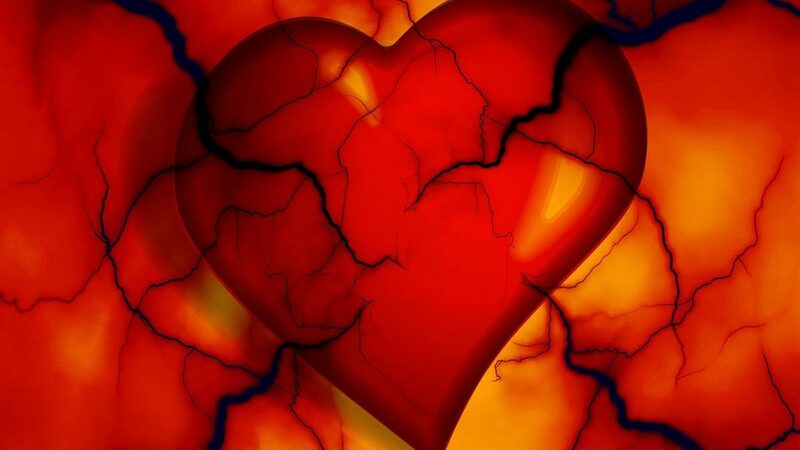 Bayer had grabbed part of the action in this booming market with its own statin drug, Baycol (also known as Lipobay). But to get a patent on this drug, Bayer had to chemically modify the molecule. This manipulation had consequences: more than 30 American patients who were taking Baycol/Lipobay – in the belief that it would prevent heart attacks – had died. Bayer was subsequently forced to withdraw the drug in August 2001. With tens of thousands of lawsuits and billions of dollars in compensation payments potentially at stake, Bayer’s future was in jeopardy. Patients and doctors alike were beginning to rally against the company. Intense pressure built up in the global media. Prosecutors were starting to look into possible criminal behavior of Bayer executives. The fate of the German chemical flagship seemed sealed. But then, almost in an instant, something so breathtaking happened that the rope tightening around Bayer’s neck suddenly loosened. 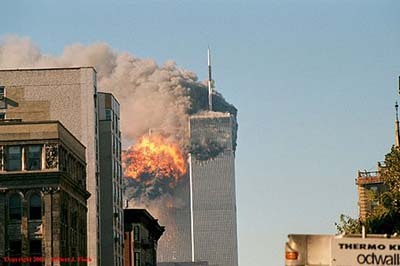 Barely 5 weeks after the Baycol/Lipobay scandal broke, the events in New York on September 11, 2001 changed everything. Amazingly, the executives of Bayer – residing thousands of miles away in Europe – were ‘let off the hook’ almost instantly. In the ensuing hysteria about possible bioterrorist attacks conducted with the anthrax bacterium, Bayer presented itself as essentially the only purveyor of an effective antibiotic solution. The shift in the company’s ‘window dressing’ could not have been more dramatic. Within days, as a result of this antibiotic, marketed under the name ‘Cipro’, the public image of Bayer had changed. Instead of being seen as a reckless profiteer, exploiting potentially millions of patients, the company was portrayed as a Mother Theresa-like company, a corporate saint that was supposedly indispensable for winning the war against bioterrorism. In modern times we haven’t seen a more potentially perilous period. The future of one of the largest – and oldest – multinational chemical companies is now at stake. With some analysts already publicly predicting the death of Bayer, the company’s share price will continue to tumble. There are only a few extraordinary events that can save Bayer. The most disturbing of these would be a public distraction scenario that dwarfed even the horror of the world-changing events that took place in New York on September 11, 2001. To put it bluntly, there is a multibillion-dollar corporate interest whose survival may now be dependent upon a terrorist or military escalation anywhere in the world – potentially even involving the use of nuclear weapons. The goal of such an event would be to create a global psychological state of fear that paralyzed humanity. In such an atmosphere, calls for extraordinary ‘protective’ measures would be inevitable. These would result in the widespread passing of enabling laws, modeled on the existing United States ‘Patriot Act’, around the world. Such laws could arbitrarily designate Bayer and other multinationals as essential for overcoming the global crisis. Any litigation against such companies by consumers, countries, or states could thus essentially be outlawed. 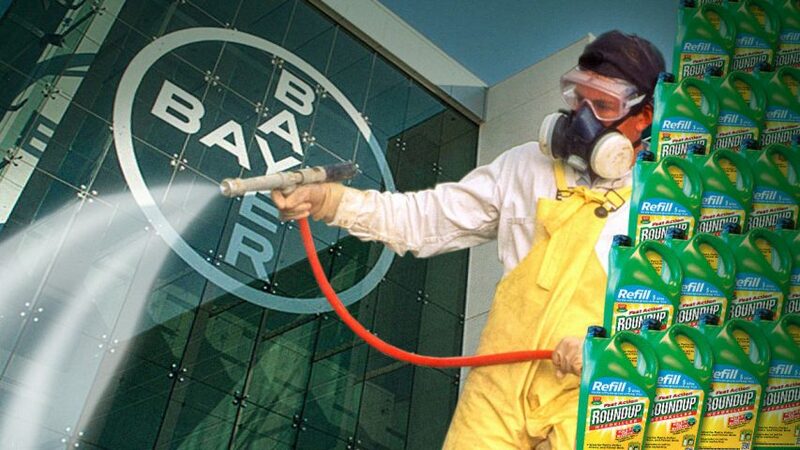 Of course, no one is asserting that Bayer would be involved in such an unspeakable crime against humanity. But facing its own demise, the company would be one of the greatest beneficiaries from such an event. The purpose of this article is therefore to sharpen our senses about such possibilities. By exposing them, we can potentially prevent them succeeding. IG Farben was the largest corporate sponsor of the Nazis’ rise to power in Germany. IG Farben supported its global conquest ambitions by setting up a giant liaison office in Berlin, to coordinate the Nazis’ plans. IG Farben provided 100% of the explosives that were used by the German Wehrmacht during WWII. IG Farben took over most of the industries in countries occupied by the Nazi Wehrmacht. IG Farben turned the Auschwitz concentration camp into a mass slave labor camp, with the goal of erecting the largest chemical plant in wartime Europe. Known as IG Auschwitz, this plant was a 100% corporate daughter of IG Farben. IG Farben had its patented drugs – often taking the form of deadly chemicals – tested on innocent inmates of Auschwitz. This fact was proven during the post-war Nuremberg War Crimes Trials. A director of IG Farben, Fritz Ter Meer, was sentenced at the Nuremberg War Crimes Trials to 7 years in prison for crimes against humanity that included mass murder, slavery, and plunder. Released after serving only 2 years, he went on to become chairman of Bayer’s supervisory board. Following the war, the inheritors of IG Farben went to great lengths to hide its criminal past. This was done with one goal only: to continue the cartel’s business of putting profit over life. The Profit Over Life website, which contains the official records from the post-war Nuremberg War Crimes Trial against IG Farben. A lecture about IG Farben, its relevance to modern-day Europe, and key events taking place today. The lecture was given by Dr. Matthias Rath in Warsaw, Poland, on 18 June 2011. The corporate sponsors of Auschwitz: A lecture given by Paul Anthony Taylor at Auschwitz, Poland, on 22 May 2015. The cell damaging effects of glyphosate: An article reporting on a study conducted by scientists at the Dr. Rath Research Institute, which confirmed the extreme toxicity of glyphosate.